What does Nike have to do with barefoot running? I totally don’t get it. 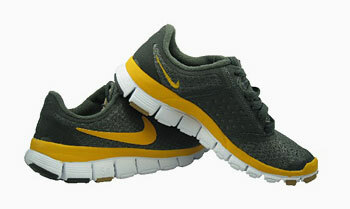 Wired Magazine reviewed the Nike Free Run+. First of all, what the hell does Wired know or have to do with running? Fine, I’m sure someone there runs. But let’s talk about the review. WTF do these shoes have to do with barefoot running? I seriously don’t get it. The review claims that the shoes “simulate barefoot conditions.” How? Your feet aren’t bare, the soles are thick, the heels are muh higher than the ball. Nike explains, “Deep cuts in the outsole mean your feet flex and move the way they would if you were barefoot.” What does that mean? I suppose I should try ’em before knocking, but the claim seems so outlandish, I’m not even inclined to try. I would love someone to explain this to me. This entry was posted on April 17, 2010 at 8:06 pm and is filed under Barefoot Running, Research. You can subscribe via RSS 2.0 feed to this post's comments. ..OK, this is my take on it. Wired is populated with a considerable number of geeks who are concerned with new technology. I suspect that Nike sucked them in originally with the ipod connection gimmick. And the plus was to also get a shot or two in at the luddites who attack the standard running shoe propaganda. Have you watched the new commercial for the Frees? Has nothing to do with running. I have to agree with you here…I have no clue what the Free’s have to do with barefoot running either. It’s like they don’t feel the need to consult with anyone who actually runs barefoot before designing these shoes! They just have so much money invested in SOME form of cushioning that they need to have it in any shoe they make…even those for barefoot running, hah. One thing we do know, “Free” doesn’t have anything to do with the price. The Nike Free 3.0 v2 allows much more foot articulation than any traditional trainer I have ever worn (especially if you take out the padded liner). Do they feel like barefoot? To someone that has always worn bulky shoes, yes, most certainly. Tons more road feel. Are they anywhere close to the VFF or other proper minimalist shoe, no. I would say they are half way between a trainer and VFF. That said, most of the other models in the Free lineup are garbage. My experience is with the 3.0 (the most barefoot of them all). If Nike would make a Free 1.0 model with a thin/flat sole, I would run in them rather than the silly looking VFF models that I own (KSO, Trek, an Bikila). That’s great input, Mike, thanks. Have you tried Onisuka Tigers? They sound like what you are describing. this latest creation of the free is the worst by far. i spent some time in my local running store analyzing shoes for my clients and this shoe is terrible. they tried to make the free friendly to their nike+ system and i get that. the problem is they had to stiffen and thicken the heel way too much to do it. this shoe is bulky and stiff. the furthest they have gone from barefoot with the free. i agree with Mike that the 3.0 is the closest they have right now but even then the heel is built up and lends you to heel striking. nike is trying to bridge the gap and still stay true to what current shoe science tells them but this latest attempt is a miss.